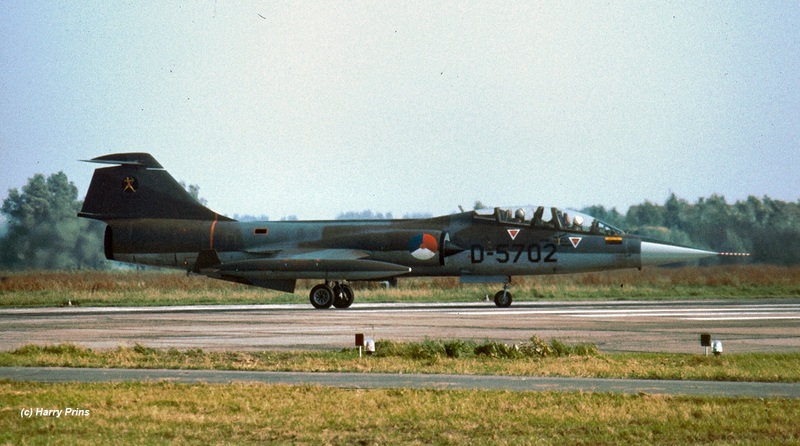 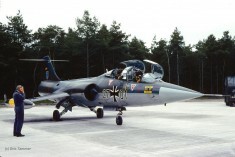 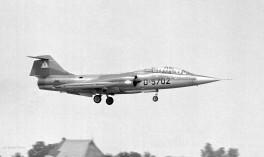 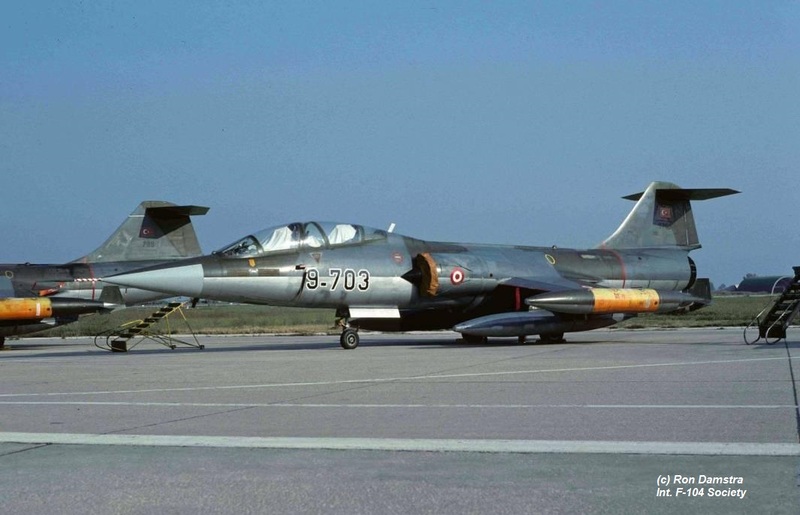 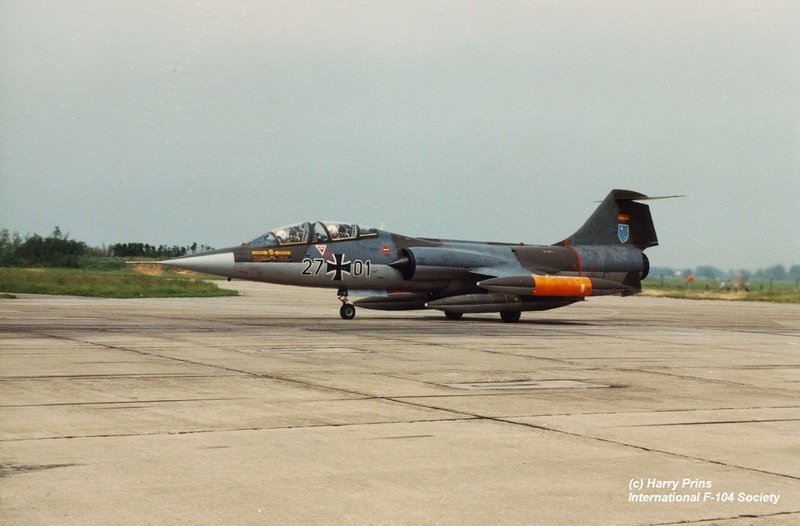 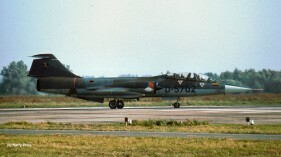 TF-104G 27+01 ready for take off at Leeuwarden Air Base in 1981. 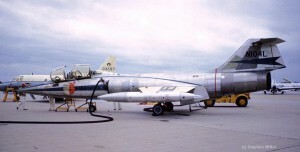 TF-104G N104L at Andrews AFB, September 13th, 1963, by Stephen Miller. 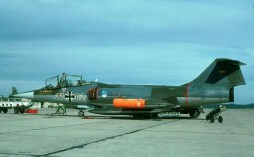 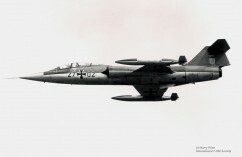 TF-104G 27+02 overshooting Jever Air Base. 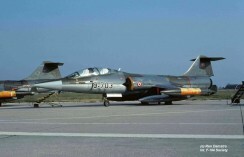 TF-104G 5703 as 9-703 at Grazzanise in 1989, photographed by Ron Damstra.